Sorry, Bear, I don't recall the title of the article. When I make it back to the dentist's office I'll look it up again and maybe one of you smarter guys will know how to find and access it. I'm such a happy..... individual....."
The Baltimore Orioles are the latest baseball team to do an "It Gets Better" video. Good for them. I'm still waiting for my Mets. I've always had a soft spot in my heart (and/or mind!) for the Rays but now I can safely say I'm a fan! They're the latest baseball team to get involved with ItGetsBetter.org and their video is very good. Until now I thought Johhny Damon was a terrible speaker but now I understand about his stuttering problem and that he overcame it. So now, more props to him. And....um....Mets.....where the F are you? I've always had a soft spot in my heart (and/or mind!) for the Rays but now I can safely say I'm a fan! It's about time! Just let me know when you want to borrow one of my E-Lo jerseys! With children across New York City heading back to school this fall, the New York Mets have teamed up with local government officials to make schoolchildren safe from bullying. The team made a public service announcement for the website StopBullying.gov, which offers anti-bullying resources to students, parents and educators. The PSA features Mets players R.A. Dickey, David Wright, Jason Bay and Chris Capuano and has been running on CitiVision for the past two weeks, as well as on SNY and other area television stations. "Bullying is such a serious issue and always has been. I'm glad we're starting to pay more attention to it," Capuano said. "It's important to get the message out there that bullying is wrong and it has serious repercussions. I think the more that we as players can do to get that message out there, the better." Capuano added that with the advent of new media, children have more to deal with because there are more avenues in which bullying can occur. He also stressed that if kids are being bullied, they should feel comfortable talking to friends, parents or teachers about it. The PSA continues the Mets' attempts to end bullying, once and for all. The organization has already been coordinating a student-athlete leadership team, a program that trains high school student athletes to mentor fifth graders in their district. The public service announcement came about when District 21 NYC Council Member Julissa Ferreras approached the Mets about trying to do more to help prevent bullying, a request the Mets were more than happy to oblige. My opinion is that this amounts to a single or at best a double. It is definitely not a home run. They could've gone with the It Gets Better project but went with the StopBullying.gov organization instead. Not the end of the world but it seems like the Stop Bullying site hasn't been updated in a while. And the Mets video is nowhere to be found. I've seen it on TV and at the ballpark but not on You Tube or anyplace else online. I'm going to tonight's and tomorrow night's games. I may do some snooping and ask a few questions if I get the chance. They've already been calling me about next year's ticket plan. Next time they do I'll have a lot of questions as well. BUT....at least they did SOMETHING. I do know that some of the players have been anxiously awaiting to do one and they are part of this one but I think even they may be let down a bit by not being involved with It Gets Better. If and when the video shows up on the internet I'll post it. I don't think any player is going to come bursting out of the closet yet, because of this news. But..... it speaks volumes that the wording is actually included in the new collective bargaining agreement. It's there.....so there's protection for the day when an active Major League Baseall player actually makes the move. The New York Times, Saturday October 20, 2012, had a great article headlined "The Punter Makes His Point". It was about Chris Kluwe, the Minnesota Viking's punter, and his vocal support for marriage equality. It's well worth reading. Implicitly acknowledging the existence of gay athletes, Major League Baseball is about to beef up its policy prohibiting antigay harassment and discrimination in the workplace. MLB will be distributing a workplace code of conduct to every player in the major and minor leagues, providing new training sessions and create a central complaint system to report offenses. The new policy is scheduled to be announced in conjunction with All-Star activities on Tuesday. MLB already has a nondiscrimination clause in its collective bargaining policy, so the latest move isn’t exactly new. But it is a high-visibility recognition of the existence of gay athletes, even if there are no out MLB players. The pertinent players are falling all over themselves with carefully worded statements proclaiming baseball to be a haven of nondiscrimination. The MLB announcement follows a similar agreement with the National Football League that was negotiated by New York Attorney General Eric Schneiderman. Schneiderman was also instrumental in drafting the MLB policy. Don't kill the messenger. I didn't write the title of the article. And..... I can think of at least one Major League active Baseball Player who may be happy about this latest development! Tee-Hee!! (And in the second article, I'm glad to see Robin Ventura and Tony Clark's statements. They've always been such good guys. My only concern is, will this extend to fans at the games. There have been incidents at games here and there over the last X amount of years. But this, I believe is germain to players at this time. We'll see how it all plays out. Not having seen or read the wording of the "policy" I'll defer comment, but when it happens I know I will probably find myself in the minority. It is not that I support harassment in any way, it's just that all too often I see or hear of these "feel good, politically correct" policies taken to the extreme - the equivalent of killing a fly with an elephant gun. And all it takes is some twit who becomes offended at the slightest excuse to report as "harassment" something that is little more than good nature kidding. There IS a line between kidding and harassment. The problem is determining where that line is to be drawn and, sorry to say it, but I often see it drawn by some in the most conservative way just as a means to protect their asses and avoid lawsuits for failing to enforce the policy. I actually agree with you on this! Shock, I know, right?? There's a difference between a good natured joke and out and out bigotry, harrassment or any of the other negative things out there. 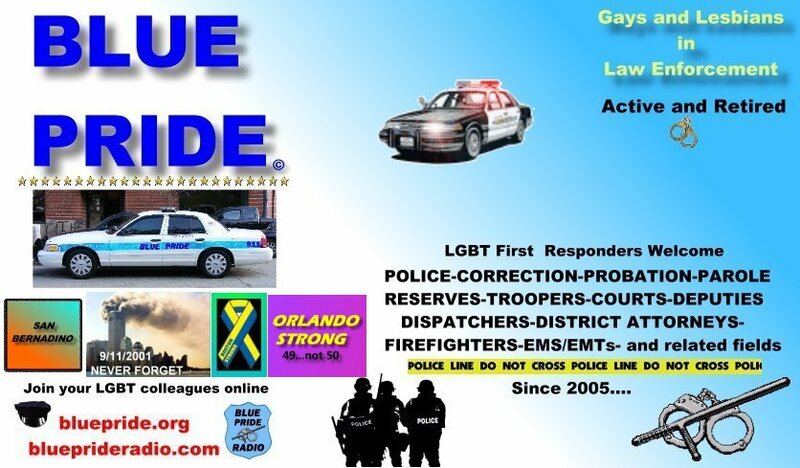 We joke with each other all the time in the gay community and the police community. Hell.....drag queens make their living using gay stereotypes and epithets. You have to know the difference between what is wrong or right. I'm not sure how that would play out in MLB circles but I hope it would be just as in any other community. Baseball players are notorious for playing jokes on each other and I've never seen one go over the top, so to speak. Unfortunately, in a few communities, there are those people who live to find something, anything, that can be interpreted as anti this or anti that. They hide behind their walls and bushes and wait and wait for that "thing" that they can nail as bigotry, racism, homophobia, or any of the "ism's" out there. When they think they've successfully found something, they get soooo disappointed when it's proven not to be the case. OK, I'm getting into soapbox territory here. I should just stop.